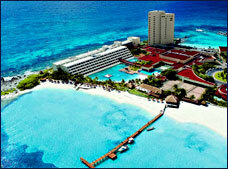 Actually it's impossible to define which is the Best Hotel in Cancun. They're so many, over 60!! Of course they're all outdoing each other with the most luxurious rooms, the fluffiest pillows, double jaccuzzi's, rejuvenating Spa treatments and Chefs flown in from Paris. How on earth am I to choose without trying out hundreds of pillowcases and overeating on tons of seafood? So I asked myself: Which hotels would I pick for my own vacation? Which ones would I warmly recommend to family and friends? My problem is: I happen to live here, as you may already know from other pages on this website. So I really don't need to stay in a resort to enjoy the Caribbean sun and beaches. And even if I would, I couldn't possibly stay in all of them! You can bring your dog with you. (A small one at least). That appeals to my pet-loving heart! I also like the European-french style as opposed to these large Americanized resorts (I'm Dutch, remember), but hey, that's only me. A family-friendly hotel with a very good activity menu for your children, so you can relax at one of the spacious pools. I like the location on the tip of Punta Cancun, close to all the vibe but tranquil at the same time. I'm dying to have myself pampered at the Spa one of these days! It presumably has one of the best Spa programs in the World. (Of course when I do, I'll report on that!). Top notch all the way. This is where President George W. Bush stayed during his two day-visit in March 2006. Don't fall for the description about a private beach though. There is no such thing in Mexico. 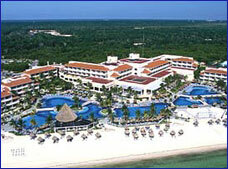 Everything about Moon Palace is exceptional! If you're looking for a cruise-ship on land, this is it! Oh, and they even have the best jewelry salesperson in Cancun: my friend Angelica, so don't forget I've warned you about her! 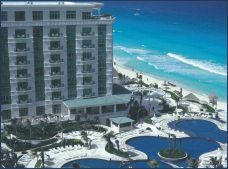 Before you make your Cancun hotel reservation, find out how they are classified. 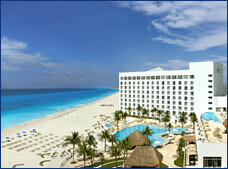 Take Us To Your Best Hotel in Cancun! 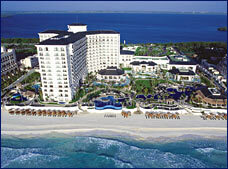 Do you have an absolute favorite "Best Hotel in Cancun"? We would love to hear about yours. Join in and let other visitors know about it. Help them make a choice writing about your own experience!